Architects draw inspiration by the relationship of individual to space and space to individual. As sustainable design is gaining traction worldwide, the issue of creating healthier environments (for person and land) is added to the context. Perhaps no where is this intersection more evident than in sustainable architecture in the health care field. 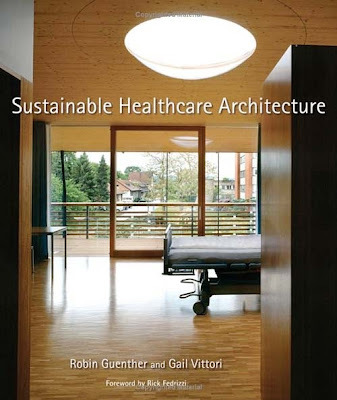 "Sustainable Health care Architecture" by Robin Guenther and Gail Vittori explores and documents the intersection of sustainability, design and the therapeutic setting. The book is a sensational compilation of 50 case studies which are supplemented by essays written by leaders in both sustainable design and health care. The book profiles the best examples in green health care design across a gamut of health care building types. Issues such as the restorative building, biophilia, enhanced air quality and high performance building systems are examined in a book guaranteed to speak to green lifestyle enthusiasts, architects and architecture lovers, as well as health care professional. 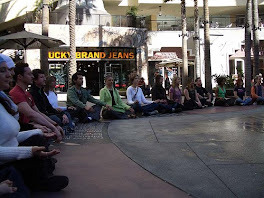 Writers Robin Guenther and Gail Vittori bring a wealth of knowledge and expertise to the work. Guenther is an FAIA and LEED-AP professional (as is Vottori). Guenther is the founding principal of Guenther 5 Architects, an award winning New York City firm with a focus on building high-performance healing environments, and is also the recipient of the 2005 The Center for Health Designers Changemaker Award for her efforts to improve and support change in healing environments. Vittori is the co-director of the Center for Maximum Potential Building Systems, an internationally recognized design, research and policy organization. Amongst other recognition, she was a Loeb Fellow at Harvard University's Graduate School of Design and was named a Green Innovator by TIME Magazine in 2007.